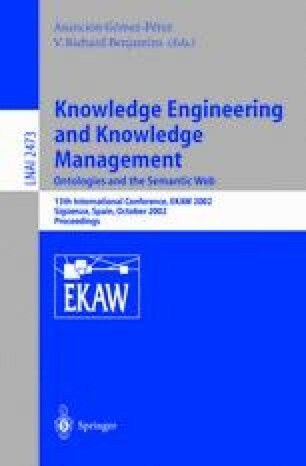 With rising importance of knowledge interchange, many industrial and academic applications have adopted ontologies as their conceptual backbone. However, industrial and academic environments are very dynamic, thus inducing changes to application requirements. To fulfill these changes, often the underlying ontology must be evolved as well. As ontologies grow in size, the complexity of change management increases, thus requiring a well-structured ontology evolution process. In this paper we identify a possible six-phase evolution process and focus on providing the user with capabilities to control and customize it. We introduce the concept of an evolution strategy encapsulating policy for evolution with respect to user’s requirements. T. Berners-Lee, XML 2000-Semantic Web talk, 2000, http://www.w3.org/2000/Talks/1206-xml2k-tbl/slide10-0.html, 2000.